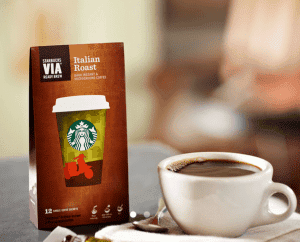 Get your Starbucks coffee delivered to you every week or every month. Never miss out of coffee. Choose from all your favorites, including Starbucks whole bean coffee, Verismo™ pods, Starbucks® K-Cup® Packs, Tazo® teas, Starbucks VIA® Ready Brew and Starbucks® syrups. 5% off for signing up to regularly receive any item. How would you rate Starbucks subscription ?